I was born and raised in a clan steeped in the Catholic tradition. My siblings and I were educated in Catholic institutions. The priests, nuns, and my mother taught us to say the rosary and pray to the statues of the saints and of the Blessed Mother. There was another practice in the Catholic Church: making repetitious prayers with our fingers in the “holy” water or our hands on the statues. The priests said that we would be purified by doing so. However, as I advanced into my teenage years, I stopped believing that touching those so-called purifying objects would cause our sins to be forgiven or our illnesses to be healed. And I began to doubt that keeping those religious rites could make us approved by God and gain blessings from God. There were always some questions in my mind: Where on earth is God? Why do we always need to deal with the priests and contact God through touching statues? In the Catholic Church, I did not have a direct contact with God or feel His presence, so there was emptiness in my heart. Although I believed in God, I felt my belief didn’t make any sense because the church was full of dogmas and rules which were made by men and I could not receive any life provision. Afterward, I quit observing those religious dogmas and regulations and no longer went to the church to attend Mass and other religious services. When I grew up, I worked as a teacher for five years in a remote Indo-Chinese refugee camp where many of my students were Buddhists. They invited me to a temple but I did not convert, because I knew that only the Lord Jesus is the true God. Though the Buddhist scriptures seemed appealing and reasonable to me as they taught people to be merciful and showed them how to practice, I didn’t think they were the truth. I wanted to find a church which truly belonged to God, so that I could gain the truth from Him. In 1994, my friend invited me to their church (a Catholic charismatic renewal group that emphasized gifts of speaking in tongues, healing sickness, casting out demons and so on). There was Mass every day. She asked me to attend at least one prayer meeting and one Bible study a week. There, I learned to pray to God in a personal way. I felt that it seemed to be the spiritual church I had been looking for. However, I later discovered that some people in the church were like the Pharisees. At that time, as my family broke up, my older daughter and I experienced discrimination by them. They said that people with such a background like ours were not welcome in their church. My daughter was very young then, but she had to suffer all this as well. I felt confused again and started to wander and no longer got involved with that religious group. After that episode, another friend of mine who was a born-again Christian invited me to their Sunday worship. That group focused on preaching biblical theology. They treated the Bible as a precious treasure which could tell them everything. She also took me to attend various church services. I saw that their faith was on the basis of the Bible and I also learned something from their preaching. I no longer prayed to Mary, saints, or martyrs. However, the pastors differed greatly in their interpretations of the Bible. 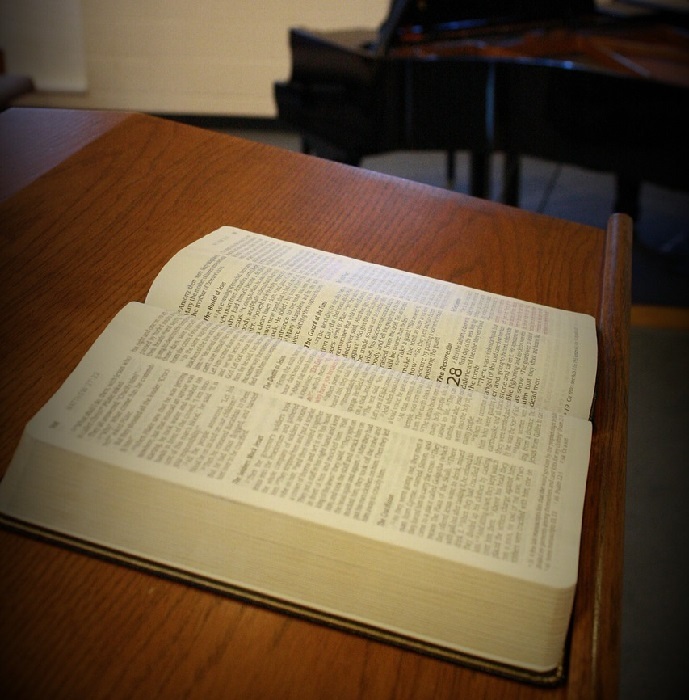 Originally, I had intended to worship God and gain the truth in that group. But I was not sure whose interpretation was in line with the truth and I didn’t get any supply at all there. Moreover, they set down some regulations. For example, a wife should consider her husband as the head and must obey him. My friend was a widow and was planning to marry again, but a pastor advised her against it. He said that it violated the Bible. Though I was comfortably off, I felt thirsty and dark in the spirit. I always prayed to God and tried to discover the reason. I didn’t know the direction of my life and felt like a spiritual drifter. Until 2015, my younger daughter told me that the Lord has returned and that God has been incarnated as a female and expressed the truth to do the work of judgment in the last days in China. She asked me what I thought about it. I became interested in it. I thought that God is almighty and wise, that no one can fathom His wonder, and that He can do His work in many ways incomprehensible to man. For example, the Lord Jesus Christ was born in the most unexpected place—a manger. So I had no doubt that God is incarnated as a female to do His work. My daughter also told me that the Old Testament and the New Testament are the historical records of God’s work in the Age of Law and the Age of Grace. Now God does the work of judgment in the last days, the third stage of work in God’s entire management plan, based upon the redemptive work in the Age of Grace. Those words sounded very novel and aroused my curiosity. Seeing I was interested in what she fellowshiped and showed no opposition to it, my daughter tried to persuade me to fellowship with a sister in the Unites States. However, I was unwilling to deal with foreign churches at that point, so I refused her request and did not investigate God’s work in the last days. Fast-forward to February of 2016, and my daughter printed fifteen pieces of God’s word for me to read. She opened The Word Appears in the Flesh and turned to the Preface. I saw some of God’s words, “Though many people believe in God, few understand what faith in God means, and what they must do to be after God’s heart. This is because, though people are familiar with the word ‘God’ and phrases such as ‘the work of God,’ they do not know God, much less do they know His work. No wonder, then, that all those who do not know God are possessed of a muddled belief. People do not take belief in God seriously because believing in God is too unfamiliar, too strange for them. In this way, they fall short of the demands of God. In other words, if people do not know God, do not know His work, then they are not fit for God’s use, much less can they fulfill the desire of God. ‘Belief in God’ means believing that there is a God; this is the simplest concept of faith in God. What’s more, believing that there is a God is not the same as truly believing in God; rather, it is a kind of simple faith with strong religious overtones. True faith in God means experiencing the words and work of God based on a belief that God holds sovereignty over all things. So you shall be freed of your corrupt disposition, shall fulfill the desire of God, and shall come to know God. Only through such a journey can you be said to believe in God” (Preface to The Word Appears in the Flesh). After reading those words, I felt very shocked in my heart. In all the sects I had ever gone to, they all claimed that they were believers in God, but none of them was serious about what belief in God meant, much less able to explain it clearly. The Catholic Church treated holding to the dogmas and rites as belief in God, such as chanting various scriptures, attending Mass and confessing to the priests. The Christians treated reading and explaining the Bible, attending meetings, praying, and working for the Lord as belief in God. Some sects considered belief in God as the following: speaking in tongues, healing sickness, casting out demons, pursuing miracles, and so on. Buddhism regarded worshiping clay statues as belief in God. 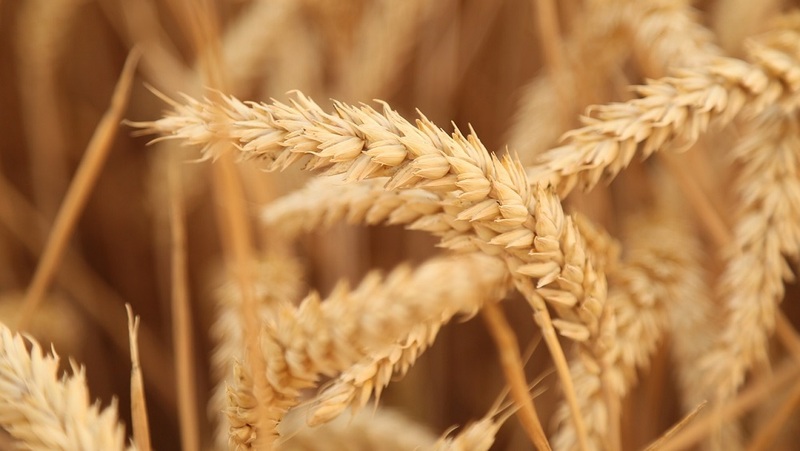 However, Almighty God uses only one sentence to fully articulate the meaning of belief in God. Though I was unable to completely understand the inner meaning of this sentence, I felt that this definition of belief in God could not be spoken by any man but by God. It is God’s voice and is the truth. At that moment, I thought: I finally found the God who can bestow upon me the truth and supply me with His word. Nonetheless, I didn’t understand what God’s management plan was. In March 2016, because of the designs of God, I had my first fellowship with Sister Jane and Brother Martin. Sister Jane fellowshiped about God’s six-thousand-year management plan with me. She said, “Thanks be to God! Today we come together to seek the truth, which pleases God most. If you have any questions, please feel free to ask. 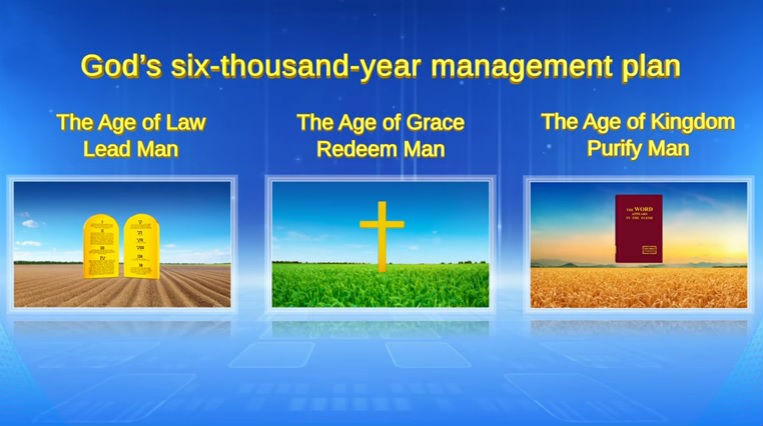 Almighty God’s words can solve all our confusions.” I said, “Now I’d like to know what God’s management plan is.” Sister Jane first read Almighty God’s words, “All of God’s disposition has been revealed throughout the six-thousand-year management plan. It is not revealed only in the Age of Grace, only in the Age of Law, or even less so, only in this period of the last days. The work done in the last days represents judgment, wrath and chastisement. The work done in the last days cannot replace the work of the Age of Law or that of the Age of Grace. However, the three stages interconnect into one entity and are all the work done by one God. Naturally, the execution of this work is divided into separate ages. The work done in the last days brings everything to a close; that done in the Age of Law is of commencement; and that done in the Age of Grace is of redemption” (“The Mystery of the Incarnation (4)” in The Word Appears in the Flesh). “In the work of man’s salvation, three stages have been carried out, which is to say that the battle with Satan has been split into three stages prior to the complete defeat of Satan. Yet the inner truth of the entire work of the battle with Satan is that its effects are achieved through bestowing grace upon man, and becoming a sin offering of man, forgiving the sins of man, conquering man, and making man perfect. As a matter of fact, the battle with Satan is not the taking up of arms against Satan, but the salvation of man, the working of the life of man, and the changing of man’s disposition so that he may bear testimony to God. This is how Satan is defeated. Satan is defeated through changing the corrupt disposition of man. When Satan has been defeated, that is, when man has been completely saved, then the ashamed Satan will be completely bound, and in this way, man will have been completely saved. And so, the substance of man’s salvation is the battle with Satan, and the war with Satan is primarily reflected in the salvation of man. The stage of the last days, in which man is to be conquered, is the last stage in the battle with Satan, and also the work of man’s complete salvation from the domain of Satan” (“Restoring the Normal Life of Man and Taking Him to a Wonderful Destination” in The Word Appears in the Flesh). Almighty God’s words and the sister’s fellowship surprised me a lot. It turned out that God has such a specific plan of saving mankind. The three stages of God’s work in the Age of Law, the Age of Grace and the Age of Kingdom are not independent but are linked one to the next. They are done by one God, who takes different names in different ages. I also saw that God’s work is very practical, that Almighty God is not the vague God in man’s imagination but God incarnate, who carries out His work among man practically as an ordinary person. The work God does now is to judge and chastise man, so that Satan will be defeated finally and man will be perfected by God. I realized that God hopes man can grow in life amidst His management plan and that He cares about the human beings He created. In the following days, we often had meetings online, read Almighty God’s words and fellowshiped about the truth. I understood more and more truths, such as the truth about God’s incarnation, how God judges and purifies man in the last days, and the differences between God’s work and man’s work. I’ve seen that there are no regulations or rites in the Church of Almighty God. Everything is based on reality. We fellowship about the truth according to our corrupt dispositions, and equip ourselves with the truth according to what we lack. No matter what we do, we regard the truth as principles. The Church of Almighty God is completely ruled by the truth and God’s word, and is the church I had been yearning for. Now through reading Almighty God’s words every day, sharing our experiences and knowledge, and trying our best to practice what God asks us to do, I have a feeling of fulfillment in my spirit. In the Age of Grace, though I had been calling to God, I could only hold to the religious rites in the church and could not be supplied in my spirit. Since I joined the Church of Almighty God, I’ve felt even more that Almighty God is a practical God, who lives among us and provides us with everything necessary to our life. Thinking back upon the past, to seek the truth and look for a church with God’s presence, I went to many churches in different denominations. However, they observed regulations and rites, worshiped idols, or equipped themselves with biblical knowledge and theology. I could not feel God’s presence at all and didn’t gain the truth, which made me feel more and more discouraged and disappointed about faith in God. Today, I finally found the source of the truth—Almighty God, and returned to God’s family. From now on, I will no longer wander around. Instead, I will quiet my heart before Almighty God, read His word seriously and equip myself with more truths, so that I can grow in life quickly and perform my duty well as a created being to satisfy Him. Su Jing In 1982, I began to believe in the Lord Jesus. I often heard the pastors preach, “‘Therefore if any man be in Christ, he is a new creature: old things are passed away; behold, all things are become new’ (2 Corinthians 5:17). As long as we believe in..
Xin Sheng United States After a Startup Failure, I Believed in the Lord and Received His Grace My name is Xin Sheng and I was born in Taiwan. In 1978, I moved to the United States at age 19 accompanied by my parents. Afterward, to realize my entrepreneurial dream,.. When I was most weak and felt most darkened within, the word moved my heart, gave me faith and strength and changed me. It turned out that the powerful voice is from God.